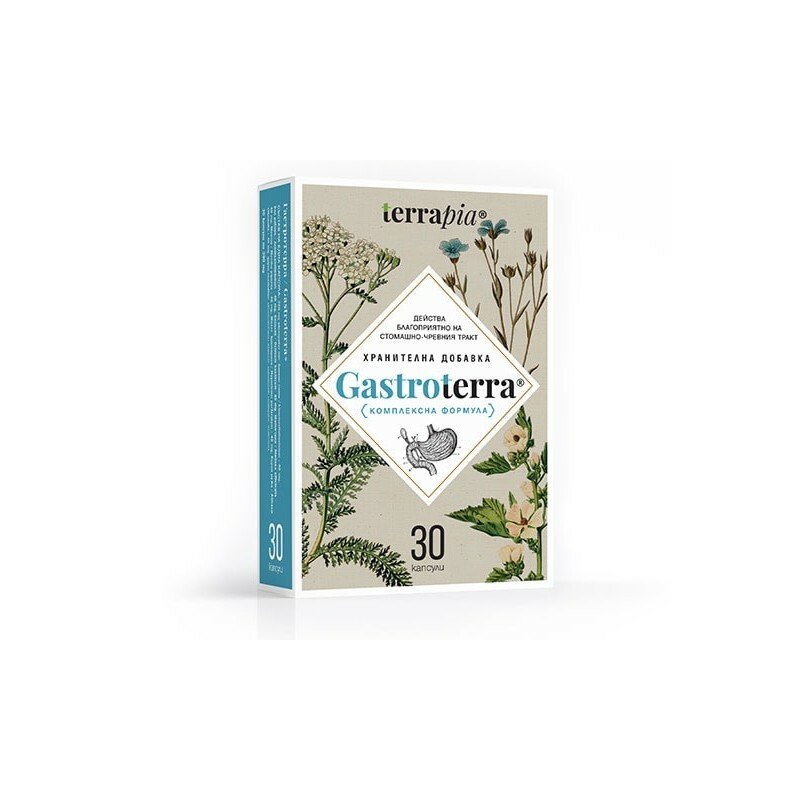 The effect of dietary supplement Gastroterra (Gastrotera) is due to the rich bioactive composition of herbs, which in turn contain the following substances: glycerides of fatty acids, mucilage, polysaccharides, essential oils, tannins, glyukoalkaloidi, tannins, saponins, phytoncides, glycosides , triterpenes, resins, flavonoids, betaine, pectin, mineral substances, vitamins and the like. 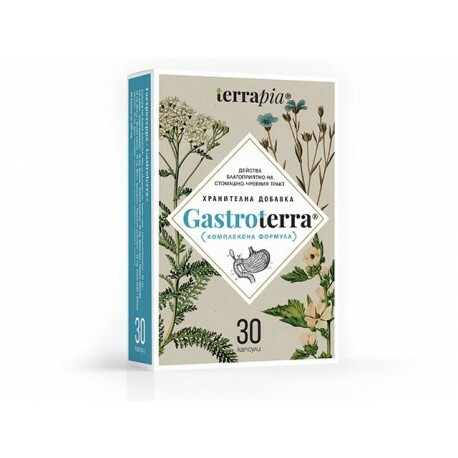 Additional ingredients: anti-caking agents: magnesium stearate, tixosil. 1-2 capsules daily, before or after meals. Dietary supplement! Do not use as a substitute for a varied diet. Do not exceed the recommended daily dose. Do not use in pregnant and lactating women.